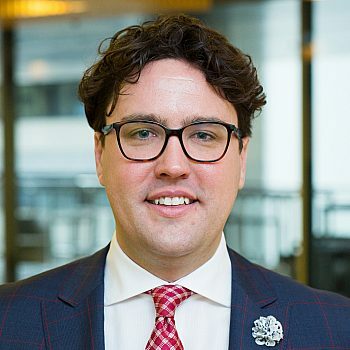 Con­grat­u­la­tions to James Skel­ton who has been announced as a final­ist in the ​‘Young Pri­vate Prac­tice Lawyer of the Year (30 or under)’ cat­e­go­ry of the Aus­tralasian Law Awards 2019. The Aus­tralasian Law Awards cel­e­brate the out­stand­ing achieve­ments of Aus­tralia and New Zealand’s lead­ing legal pro­fes­sion­al, firms and in-house teams for their con­tri­bu­tion over the past year. We wish James all the best. The win­ners will be announced at a black-tie awards cer­e­mo­ny on Thurs­day 23 May 2019.